The science of healing and life based on ancient knowledge, which aims at restoring and maintaining health naturally, and establishing stability and well being. Patients are classified according to three metabolic body types: Vata, Pitta and Kapha. Natural means of disease prevention including herbs, oils, minerals, heat, water, massage, yoga, meditation, elimination therapy and counseling are recommended according to body type. A constitutional assessment by a trained Ayurvedic practitioner is offered to determine your individual constitution type or “dosha”. Challenges and imbalances that may be causing problems and methods to manage and reverse these issues will be assessed. A thorough body detoxification and cleansing therapy will provided over multiple sessions. It is advised that one undergo this therapy yearly during either the summer or a change of seasons. This therapy promotes healthy weight loss through cleansing herbs and a diet rid of harmful, toxin causing foods. It includes and ayurvedic consultation, pre-care, and follow-up care that is closely supervised and monitored by an ayurvedic practitioner. This includes nutritional guidance and, depending on the client’s individual needs, massage treatments, shirodhara, nasya, netra basti, pinda sweda and basti. This massage treatment is one of the most effective means of slowing the skin’s aging process and achieving overall softness and luster. This treatment nourishes and tones on a deep cellular level. Abhayanga stimulates circulation to remove wastes from the tissues while improving their nutrition by keeping the lymphs free moving and pure. It also alleviates the effects of old age and fatigue. Abhayanga improves vision and sleep quality while strengthening one’s resistance to stress. 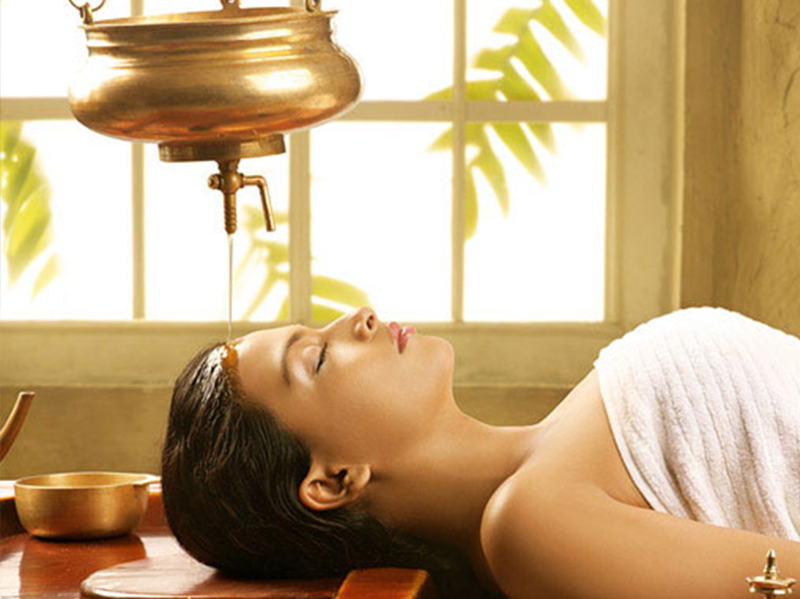 Ayurvedic facial treatment has many benefits such as nourishing and cleansing of tissues which results in a glowing complexion, good tone and elasticity for all skin layers. Facial tension and bodily stress will practically melt away with this treatment. 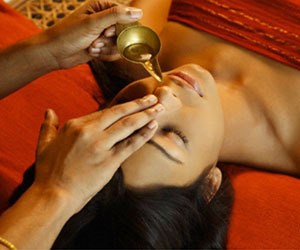 Ayruvedic Facials help to strengthen and re-energize the whole body. A soothing stream of warm oils is poured over the forehead to produce an unparalleled experience of total relaxation and calming of the nervous system. This therapy stimulates the pineal gland and helps de-stress the body and mind. Netra Basti is a highly nourishing bath for the eyes. This treatment removes the effects of eyestrain and improves vision. It also helps release tension throughout the body. Medicated oils are applied into the nose, the nearest access and outlet to the organs of the head. 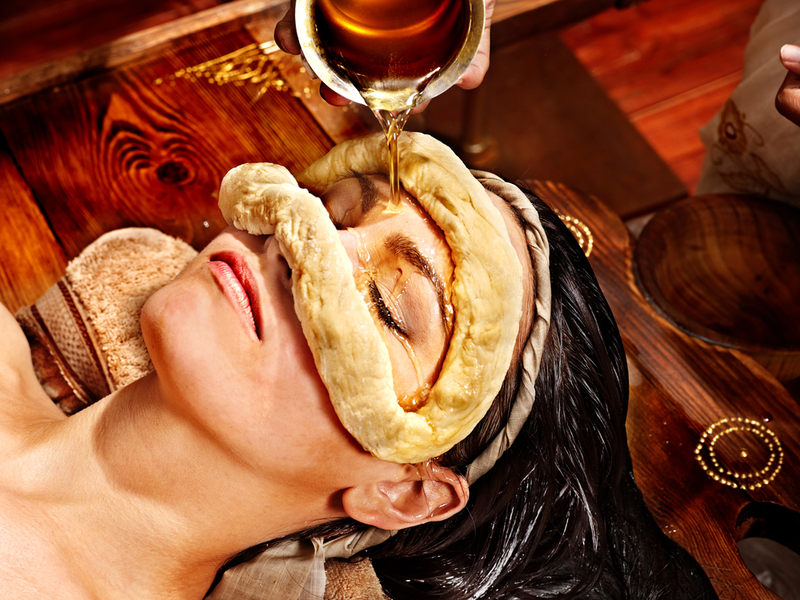 Nasya purifies and rejuvenates the tissues and organs of the head and neck while removing toxins from the nose, larynx, pharynx, mouth, perinasal sinuses, eyes and ears. This treatment cleanses the sinus, prevents migraines and is useful for allergies. Herbal powders mixed with volatile oils tied in a cloth are heated and then rubbed vigorously over the body, joints and cellulite accumulations to tone and detoxify tissues. This treatment removes or reduces cellulite accumulations as well. Warmed medicated oils are poured into a dough-ring that is molded to the lower back (lumbar-sacral area) to treat lower backaches, muscle spasms, sciatica, herniated disks, and other muscular-skeletal problems. 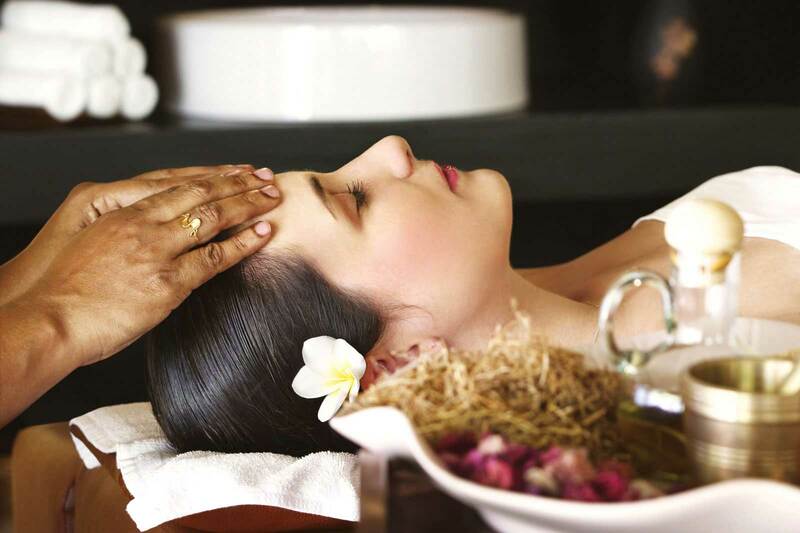 We are Coral Gables' Ayurveda Center servicing: Miami, Coral Gables, South Miami, Pinecrest, Kendall, Brickell, Key Biscayne, Coconut Grove and South Florida. Complete this appointment request, a representative will contact you to confirm availability. Enter here your desired day, time. A representative will contact you with the availability confirmation.